My first novel is probably the one closest to my heart. Don’t tell my other novels . . . The blurb says . . .
There’s something magical about Ceri D’Altroy . . .
After leaving London to follow her heart’s desire to become a psychology lecturer, Ceri D’Altroy vows to leave her matchmaking ways behind her for good. Unfortunately, all she seems to do is inspire the new people she meets to change their lives. There’s Ed, who’s decided to declare his love to a woman who is way out of his league; Mel and Claudine, two long-term friends who are now tempted to start an illicit affair; and Gwen, the chain-smoking head of department who has a deep, dark secret she only wants to share with her new employee. No one who comes into contact with Ceri is ever the same again. Could this unsuspecting young woman be modern-day Cupid? The blurb means . . . 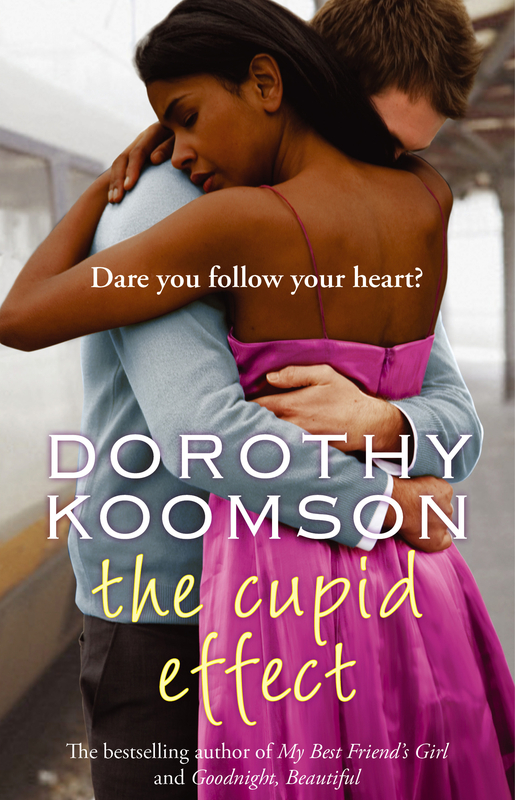 The Cupid Effect is my first novel and was inspired by my ability to sort other people’s lives but not having as much clarity when it comes to my own life. There are a few (ahem!) similarities between me and the main character: I do watch a lot of Oprah and I own – and have read – rather a lot of self-help books (but, it’s not an autobiography and anybody who recognises themselves in the book should buy another copy, just to be sure). Oprah and self-help books did inspire me to do a Ceri D’Altroy and follow my heart, which meant enjoying as much of my life as I can.